Happy Saturday! For some reason I always feel like short weeks can be some of the craziest/longest - am I right? We were lucky enough to have Monday off and I spent most of the day vegging but then it was full speed ahead on Tuesday. I hope you have some fun plans this weekend! I have a few friends in town so I can't wait to do some catching up! 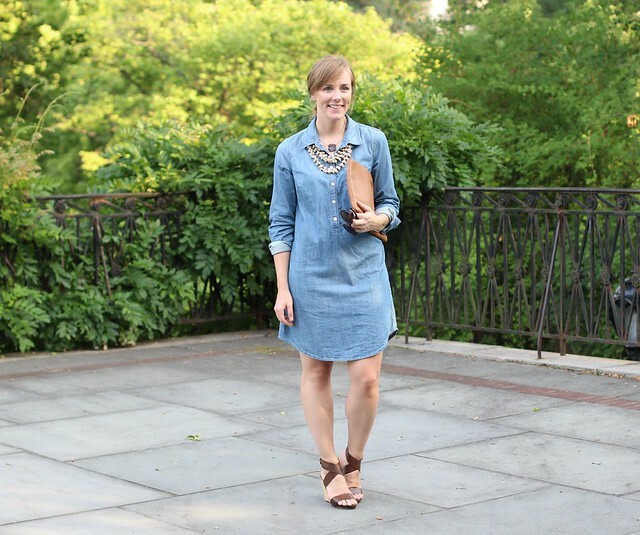 I realize it's been very rainy in the city this week but I found these pictures from the end of summer and realized I never posted them to the blog! 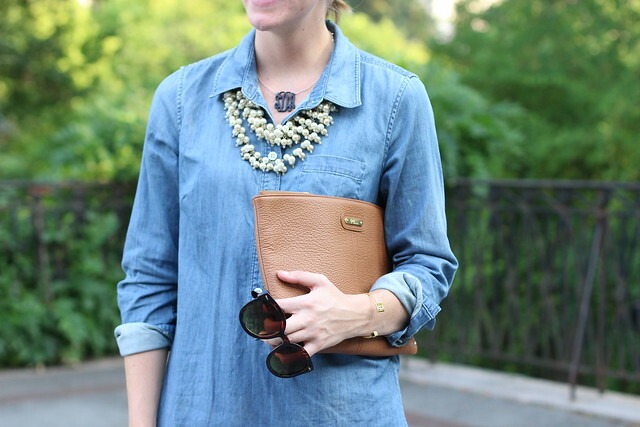 I am working on a "chambray transition" post because I'm not quite ready to put this dress away for the winter! Stay tuned for that! 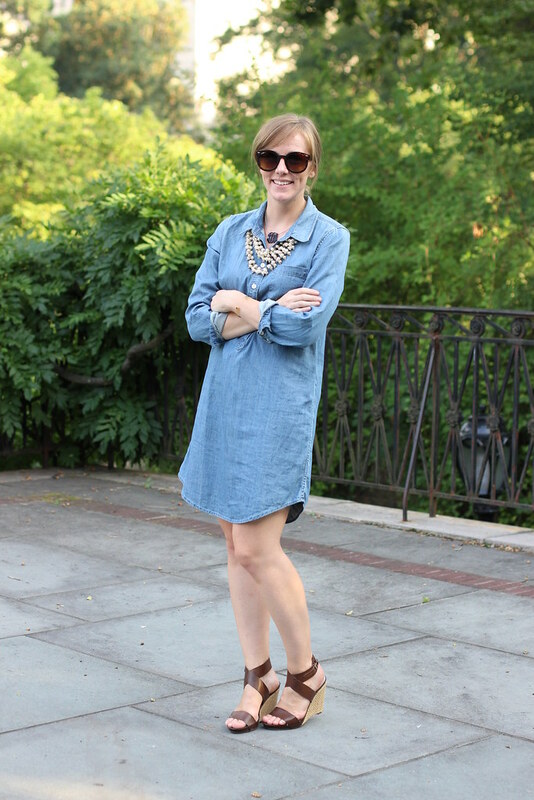 And before I forget, make sure you head to Monday's post to enter to win a $75 Sole Society credit! They are by far one of my favorite shoe sources because their styles are so affordable and SO cute - what would you snag if you won?